Widgets that stack, or move in front of other elements, often present challenges when placed into real world pages. It&apos;s usually easy to either change the z-index or the parent of the stacked element to avoid any collisions on the page. 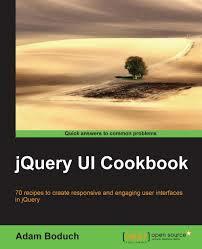 However, jQuery UI needs a generic solution that doesn&apos;t require manually playing with z-index values. This is accomplished via the ui-front class, and usually an accompanying appendTo option on stacking widgets. The ui-front class is very basic. It just sets a static z-index value on the element. However, the existence of the class is used to indicate that an element is a stacking element, which indicates where additional stacking elements should be appended. This allows us to take advantage of nested stacking contexts, resulting in a default DOM position that works for most use cases. 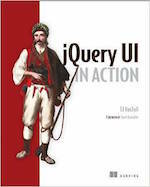 Note: When using ui-front, you must also set position to relative, absolute or fixed in order for the z-index to be applied. If a value is provided for the appendTo option, then append the stacking element to the specified element. If the appendTo option is set to null (default), then the widget should walk up the DOM from the associated element. For example, when the autocomplete menu is appended to the DOM, the walking starts from the associated input element. If another stacking element is found, append to that element. If no other stacking elements are found, append to the body. The stacking element must also have position set to relative, absolute, or fixed in order for the z-index from the ui-front class to be applied. Using .position() will automatically set position. Stacking elements are defined as elements with the ui-front class, or any native element that creates a new stacking context. Currently, <dialog> is the only native element that is considered a stacking element.